The Cinema Caravane harkens back to the days of small, independent movie houses, carnavals, and traveling road cinemas. An initiative of the CineGlobe Film Festival at CERN, the Cinema Caravane is an itinerant cinema of between 18 and 27 seats, built on a flatbed trailer that can be installed virtually anywhere. Its purpose is to bring the magic of cinema to small villages, schools, and outdoor festivals. Its unique, transverse design allows for a large image (3-4m wide) and a full cinema experience in a compact space. It will serve as a platform for short and independent films, education, and cultural experience. Independent cinemas, even in protected environments like Switzerland, are slowly disappearing. Multiplexes account for the vast majority of cinema entries, but they require enormous markets to work. This leaves smaller towns and independent cinema operators at a loss to survive. Simultaneously, environmental and space concerns in cities mean that smaller cinemas, which might operate at 10% of capacity most of the time, occupy more space and resources than they can economically justify. A statistical analysis of cinema entries in Switzerland suggests that the average attendance at a cinema screening, across the country and one full year, is on the order of 20 people. The Cinema Caravane responds to this average demand, which is perfectly adapted to bringing cinema to smaller communities. The Cinema Caravane subscribes to the TinyCinema movement, which is born from the TinyHome movement, and seeks to encourage people to do more with less. Just because a village cannot support a 150 seat cinema year-round doesn’t mean that it cannot have a 29 seat cinema for a week a year. Rather than encouraging more and more consumption of video online and at home, the Cinema Caravane makes collective, true cinema-going accessible to almost everyone, everywhere. In addition, the Cinema Caravane’s small size makes it possible to program lesser known films and shorter works that don’t necessarily attract audiences. By highlighting films outside of the mainstream, the Cinema Caravane can expose the audience to a cultural offering that they wouldn’t otherwise be able to experience in a cinema setting. The Cinema Caravane will appear as part of the Fête Nationale on 1 August 2018 in the Parc de la Grange, where CERN will be the guest of honour. It will screen a series of short films addressing themes across the spectrum of science, technology, and society. 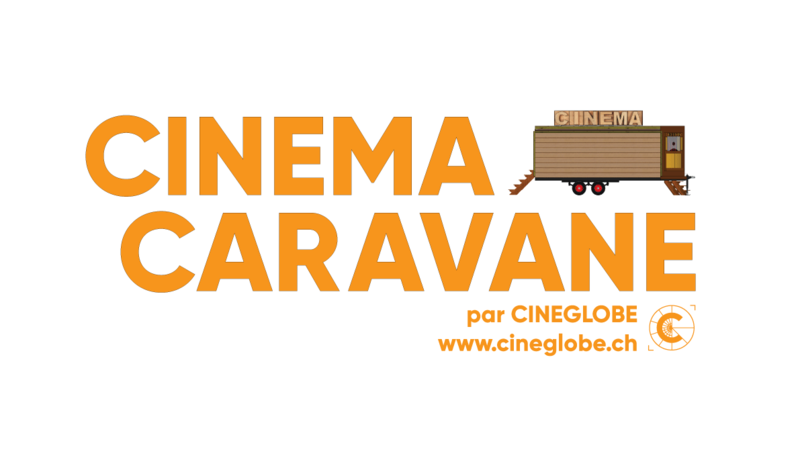 CineGlobe is now searching for interested villages and communities that would like to host the Cinema Caravane next spring-fall during its first tour of Romandie, for a weekend or a week. CineGlobe recognises that our cinematic culture, like our lives in general, is becoming ever more intertwined with science and technology. While in many ways technology allows us to experience works we might not otherwise see, it also negates and sometimes erases our shared heritage. The Cinema Caravane is the next step in the CineGlobe’s pursuit to embrace past, present, and future in the art of film.